This summer I acquired a 3D printer, and it only just recently crossed my mind that I could make parts that I've been wanting - even those that don't exist yet. This will be the thread I throw all that into. First, I started off by drawing the track profile, using the dimensions I found on the L-gauge wiki: http://l-gauge.org/wiki/index.php?title=Track_Geometry I used Autodesk Fusion 360 for the modelling portion (it's free to students, makers, hobbyists, and businesses making less than 100k USD a year!). 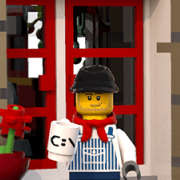 I now have something that looks quite a bit like a piece of Lego track! It's obviously missing studs, the snap-together connectors, and the cutouts on the ends of the rails. However, it will do for a first print test. 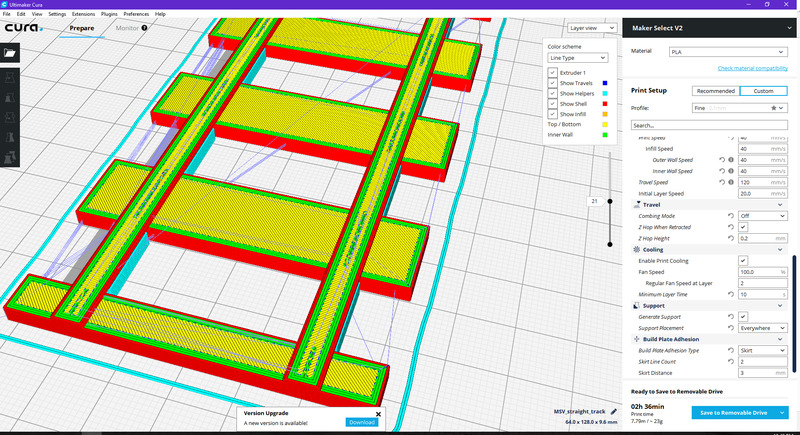 I then export from Fusion 360 as a .STL and load that into my slicing program of choice, Cura. Here we're seeing the interior of the rails, but not the ties. Here we can see inside the ties, as well as the supports - these are temporary structures that will be removed once the print is completed. 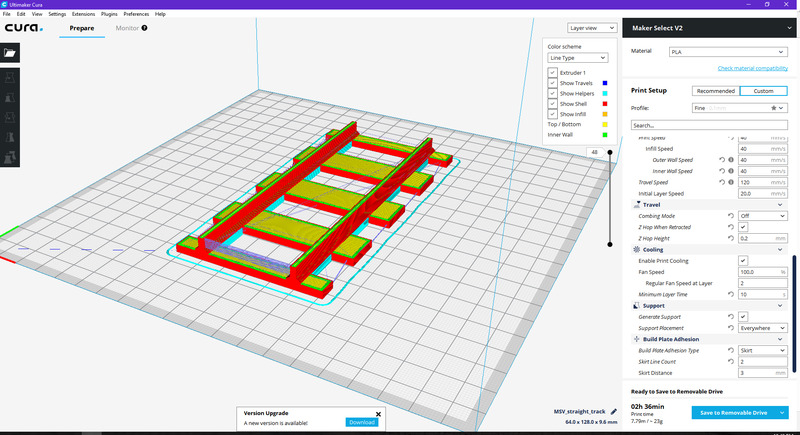 They hold up the overhangs in the model that may otherwise sag or distort excessively - I'll need to change the support orientation before I commit to a print for better results. 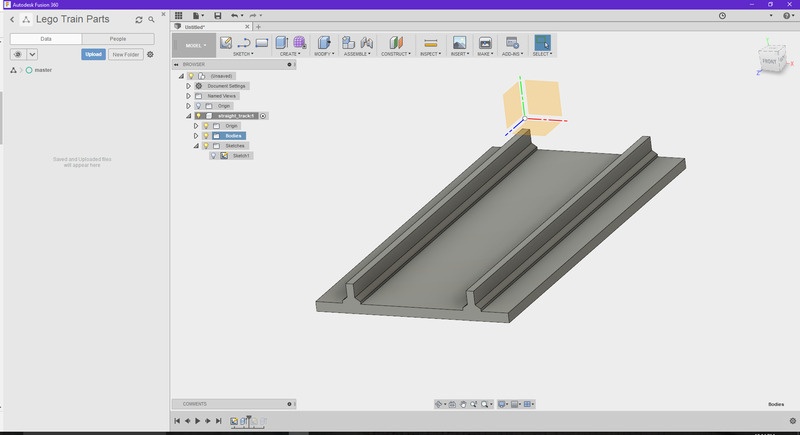 Unfortunately, it's too late at night for me to kick off a print - I know the time estimate given is somewhat of an underestimate, so one of these very basic track pieces will actually take a bit over three hours instead of the two and a half that's given by my slicer. I'll be doing that tomorrow. Autodesk fusion is great, you can even model your electronics right inside the 3D models. Which 3D printer did you get? I've been looking at getting one and there are so many. I've been using the local public library but they limit you to PLA, colors on hand, and maximum print time. 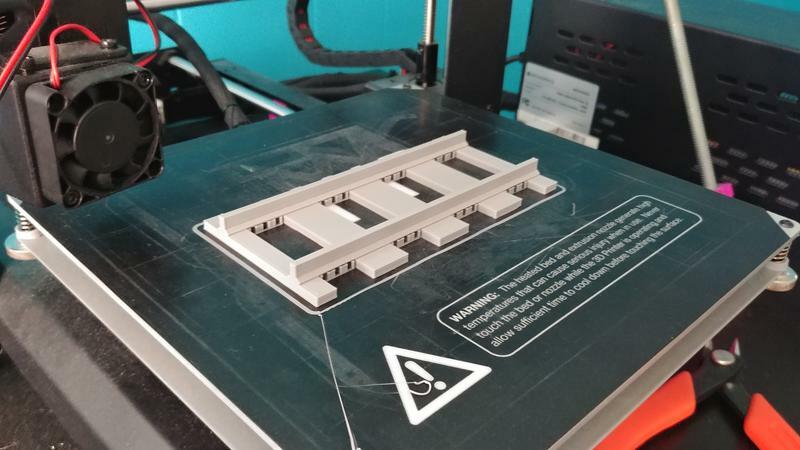 My print material of choice is PLA, as it's easier to print and less prone to warping than ABS. In my slicer I have my printer set to 200C and 55C for the extruder and heated bed, respectively. I also use a .2mm layer height with a .3mm initial layer (this helps to take up any uneven spots in the print surface). Turns out it's somewhat difficult to get a good shot because the subject is moving back and forth! I let the print bed cool for a bit before I attempt to remove the part. 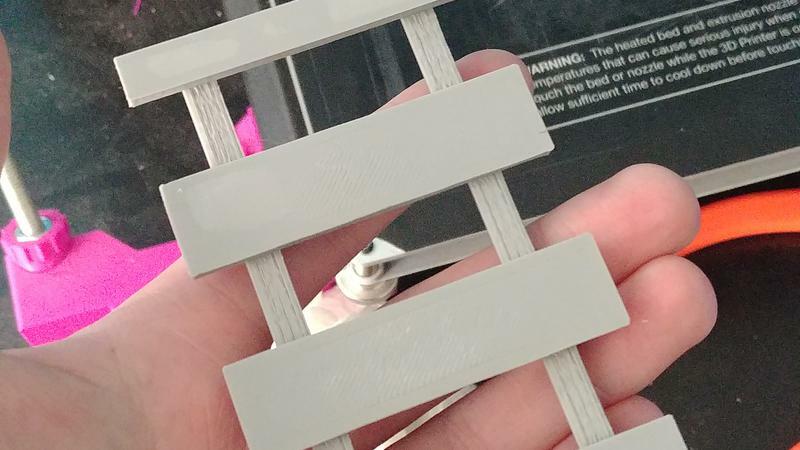 Usually for small pieces I can remove them immediately, but large parts cool slower and I don't want to remove them too early for fear of warping. I managed to coax the part off the bed and leave behind just about all of the supports. The last one that stuck to the part popped off without any tools whatsoever. Then we have the final product! 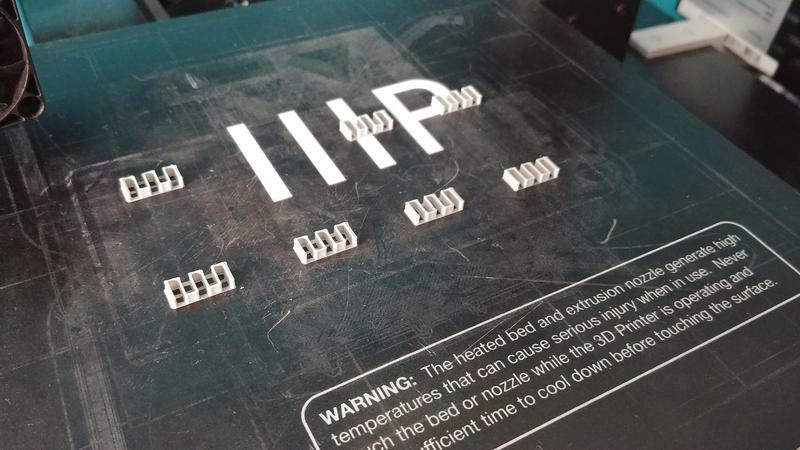 In the second image you can clearly see the difference in surface finish between portions of the model that sat directly on the print bed, and portions that were built on top of supports. I've also got some sort of lighter gray splotches on the bottom, which I've not seen before - maybe it's because I didn't wait long enough for the part to cool? I'm not sure. 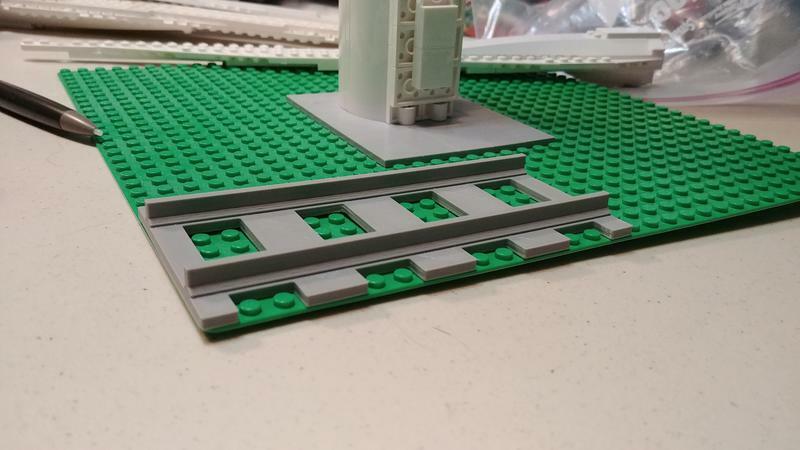 The next step for this model is to add studs, the clip-on connectors, the rail end cutouts, and the empty spaces on the underside of the ties to allow for connecting this to real Lego parts. 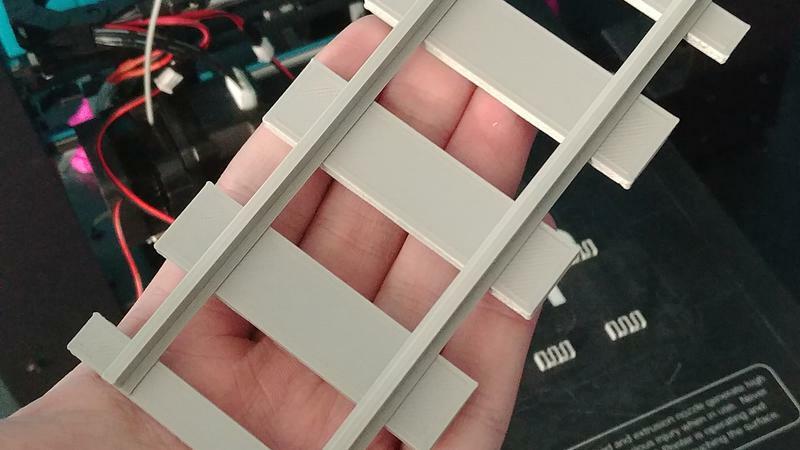 I finally have a 3d printed piece of track that attaches to Lego bricks! This is the fifth print for this part, so so far have I've spent between 12 and 15 hours on printing. 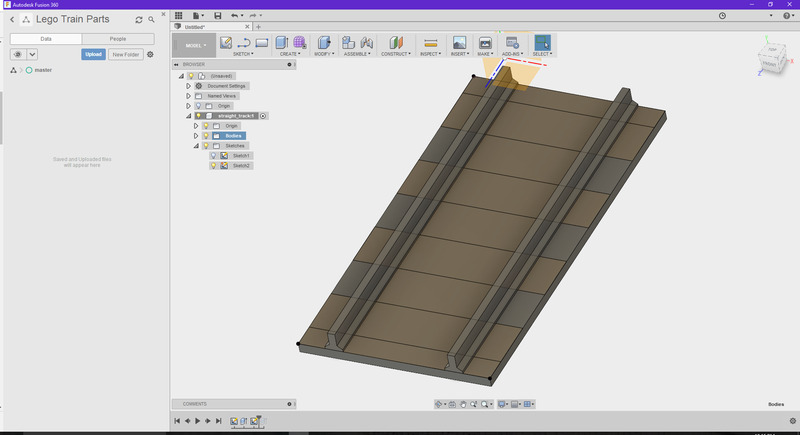 The next step is to set up the flanges and such that allows each track piece to connect to other ones. Do they allow you to bring your own filament? You should have taken the opportunity to design and test the connection points as well. 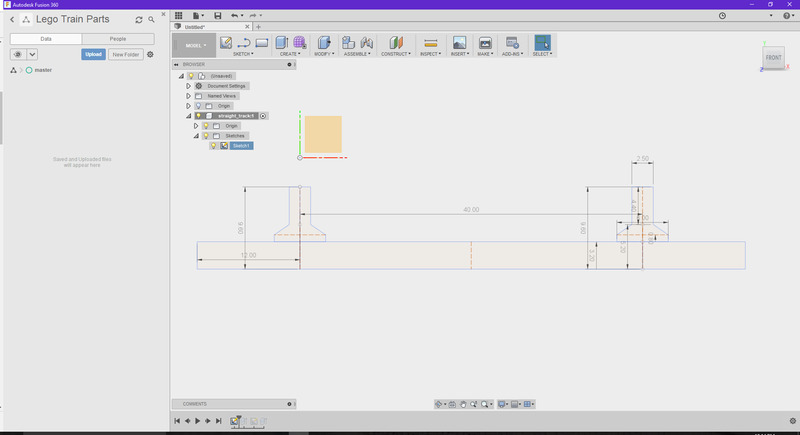 I guess, when you do, test by designing a 4-stud-long piece, to cut down on material usage. I think that may depend on the library. My local library doesn't. They probably want to keep things simple as most library staff aren't 3d printing experts. 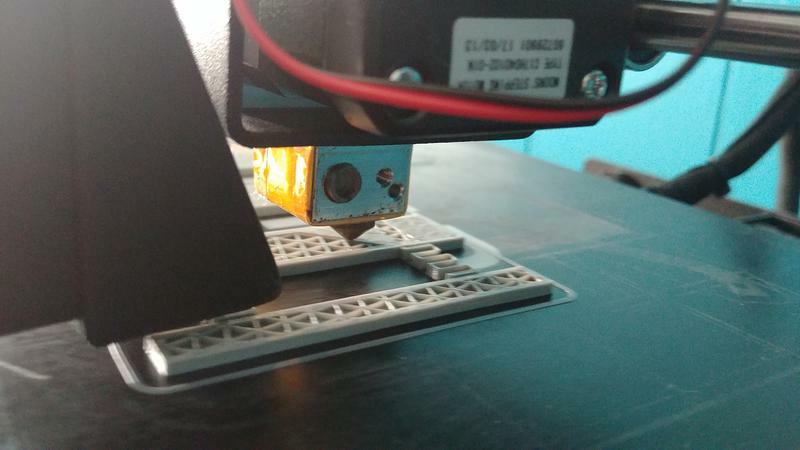 There can be a lot of tweaking to get a different brand filament to print correctly.